For months now, North Korea has been ignoring calls by other sovereign countries not to launch missiles that are directed toward the U.S. China has now broken its silence and stated that it will not in any way support North Korea if it launches missiles threatening the United States. However, China also mentioned that they would only intervene if Washington strikes North Korea first. This message was published in the Global Times newspaper which, despite not being the official newspaper of the Communist Party, is clear reflection of the China government’s decision on this matter. This stern warning came after several politicians and government leaders from all across the globe urged for peace and unity after a series of counter threats by the North Korean and U.S governments. The ripple effects of this unfolding drama have had a significant impact on the global financial markets for four consecutive days. Angela Merkel, German Chancellor has stated that rhetoric exchange of threats between the two nations was uncalled for but pledged her country’s support of non-military solutions. She also mentioned that this conflict cannot be resolved by a military solution. Sergei Lavrov, Russia’s Foreign Minister, has also said that the overwhelming and belligerent rhetoric from both nations was not appropriate. He added that the stronger and clever side will take the first bold move to defuse the tensions. China hopes that the two nations will be careful about the words and actions that they exchange and will come up with mechanisms of defusing the tensions and promoting mutual trust instead of military actions that only succeed in aggravating the tensions. 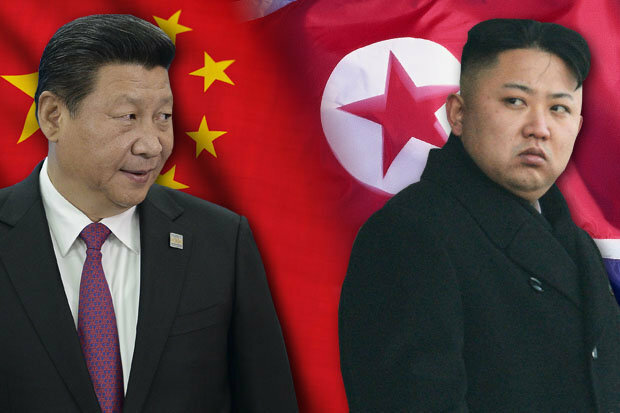 China also made it clear that they will not intervene if North Korea strikes first and if South Korea and the U.S try to overthrow the current North Korean regime, they will prevent them from doing so.